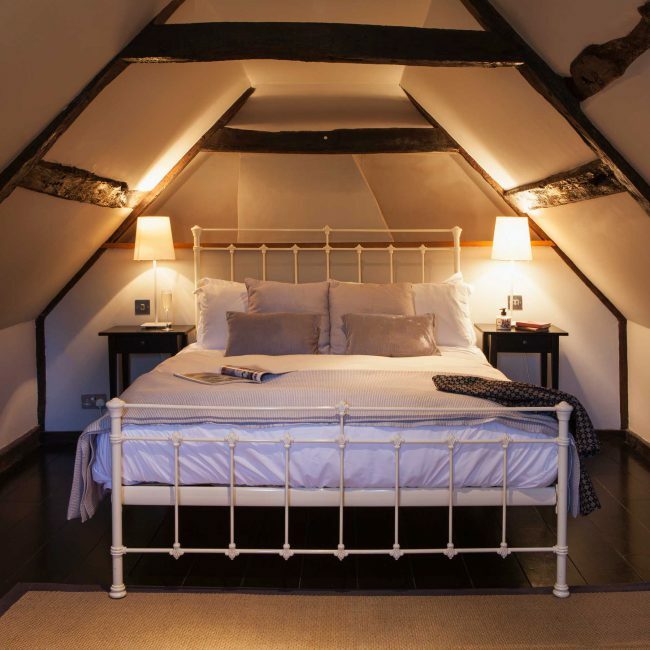 We have 5 quirky, individual rooms above the pub. 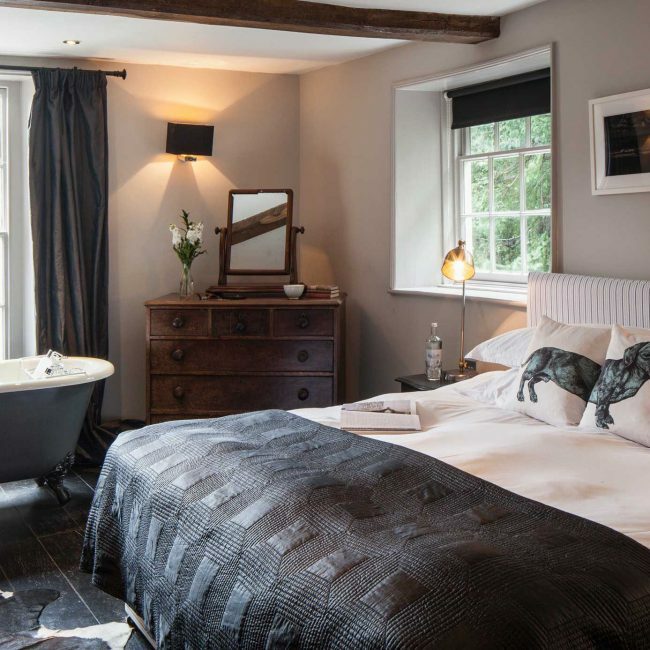 The rooms are spread across the pub and therefore across the centuries. 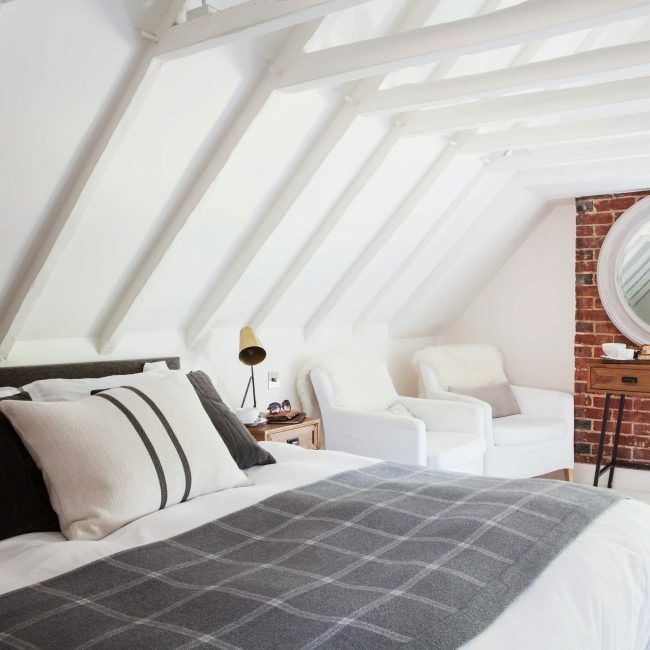 They are all different shapes and styles and have been carefully furnished with a mixture of contemporary furniture and local antiques. 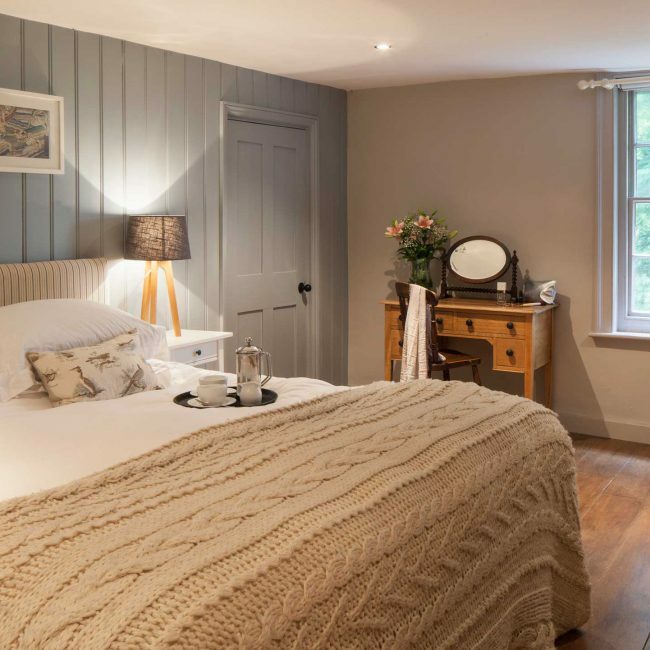 You’ll find Egyptian cotton sheets and duck down duvets on the large comfortable beds and each room has a flat screen TV, armchairs and tea & coffee making facilities. On the top floor under the eaves. 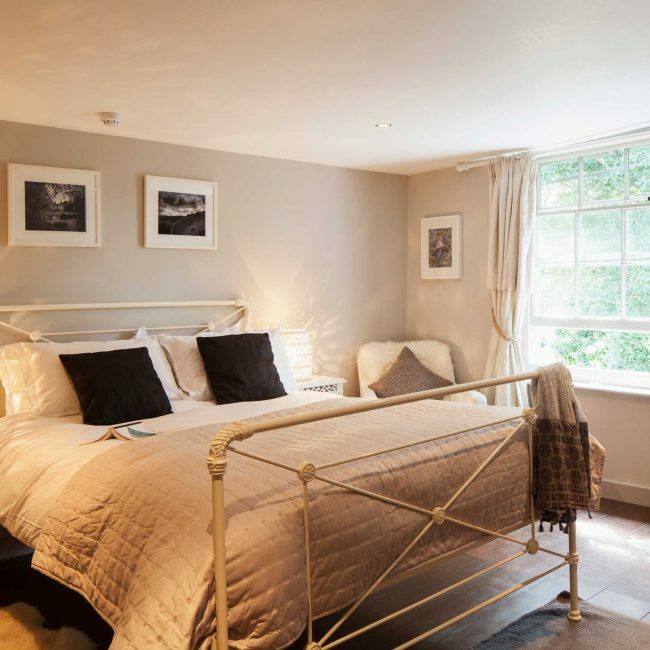 A large room with separate large en suite bathroom, views across the village to the Downs, king sized iron bed, space for an extra bed, bathroom with claw feet bath and handmade oak fittings. Space for one extra bed for a child aged up to 12 years.